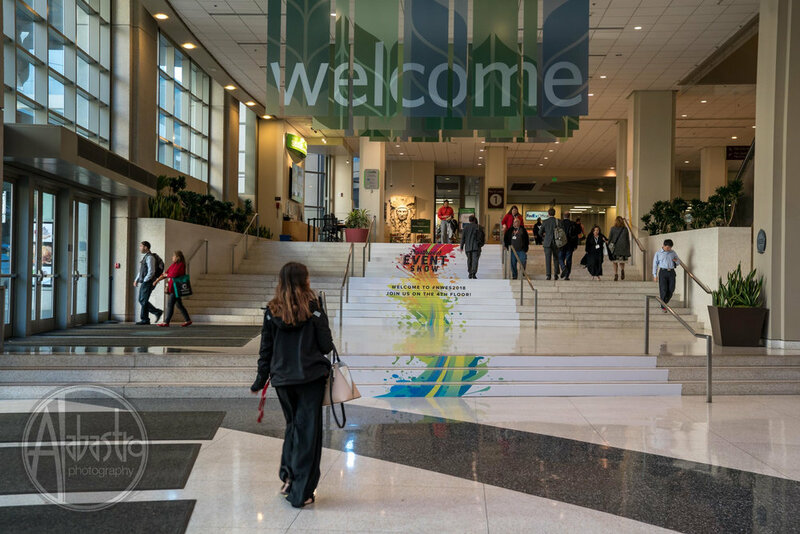 As the momentum around sustainability continues to grows, the Northwest Event Show is taking the time to think about the impacts our show but also the Event Industry as a whole has on the environment. There are so many incredible ideas and new things happening in regards to event sustainability that we are striving to be better and hope we can inspire you to do so as well. Did you know that the average person produces 1.89KG of waste at a conference according to meetgreen.com? Which means if we have 4,000 people on the NWES showroom floor that would be roughly 7,560KGs of waste created in one day. That’s a lot of waste! If every person that walks through the showroom door, whether it be a producer, exhibitor or attendee, made even small changes, those small changes could make a huge difference to reducing that number and more importantly lessen our impact to our planet. 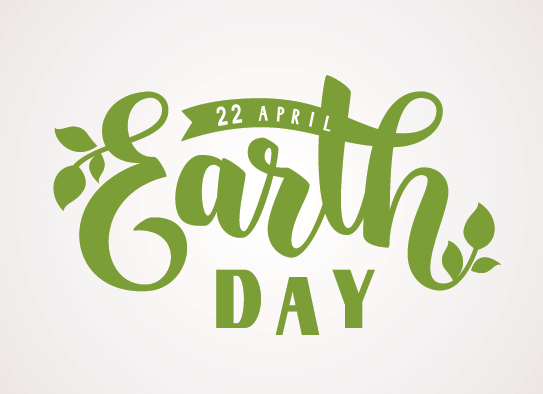 In honor of Earth Day, we have compiled some easy changes to make the world a little greener. A strategy is key- You won’t be able to track or make tangible progress on a more sustainable event without knowing some places that can strategically become environmentally friendlier. It is important to note that it only takes one person within your team or company to make a small yet overwhelming positive change. When planning for an event there are swaps that can be made with ease if one person takes charge otherwise what has always been done will continue to be done. Imagine the incredible impact that can be made if everyone makes small or better yet big changes! · Setting up recycling (maybe even compost in cities where this is an option) can cut down on what ends up being trash and sent to a landfill. · Decide when planning for an event if you will only hand out an extra goody to your VIPs, strong leads or another pre-selected group to ensure the items passed out have value for both you and your clients. As an attendee, only take what you will use. · Embrace digital content- planning for an event can produce a lot of extra handouts, reminders and much more. · Handing out business cards can be an excellent tool however gathering information via QR codes can also be a very effective way to gather potential clients information and produces no waste. · Think outside the box. Use recycled or up-cycled materials to create a display or booth that can incorporate reusable key elements for the next booth or another project altogether. · Focus your booth on the attendee experience rather than what you can give them. · Choose to host in a LEED certified building to host your events or hold your guests that may be flying in. · When you and your team are going to events, coordinate a carpool, take the bus or the train if it is accessible. This year Butler Seattle is planning to provide eco-friendly transportation by offering a shuttle service from key locations in Seattle and surrounding areas to and from the NWES. Thinking green does not have to be an overwhelming thing that feels like a stumbling block when creating fabulous booths or incredible events. Inspiration is essential in our industry so we would love to hear how you have made changes to be more sustainable. Please comment below with changes made within your business, for an event or to tell us about a new eco-friendly product you love. Every event that is ‘green’ leads to more green events and less waste in years to come. We have the chance to gently shift our clients and our community toward a greener, cleaner, future. The power of personal contact is unparalleled in the world of business. Trade shows are a routine practice for many industries to showcase products and services to fellow professionals, and in some cases the general public. The Northwest Event Show (NWES) is an industry favorite attracting event & meeting professionals to the largest trade show of its kind in the region for more than 25 years. The show also draws a huge crowd of non-industry professionals seeking inspiration for the elements in their own world that so naturally crossover into ours. I recall the first year I ran into familiar faces from my father’s office at the NWES, maybe 10 or 12 years ago. His career was in the nonprofit healthcare sector, so our meeting was totally unexpected and, as it turned out, a fortuitous connection for both sides! Their team happened to be searching for a location for their annual board meeting and my venue was the perfect fit. The relationship formed on the show floor resulted in a new regular client for the venue, and a new corporate donor for the organization. Every year since I’ve looked forward to seeing some of those same faces returning to the show, looking for their next inspiration. What made this interaction remarkable is these were not event planners; they were the administrators, the executive assistants, and the human resource managers who collectively influenced every aspect of their business. They are not event industry professionals, but they are expected to plan and execute meetings, team building events and holiday parties. They are creating incentive programs for sales teams. They are booking travel and accommodations for executives. They are seeking the best professionals and services in our field to support their own business objectives to be successful in theirs. The NWES provides our local talent the opportunity to rise to the occasion and put Seattle’s innovative and contemporary reputation center stage with the event industry. 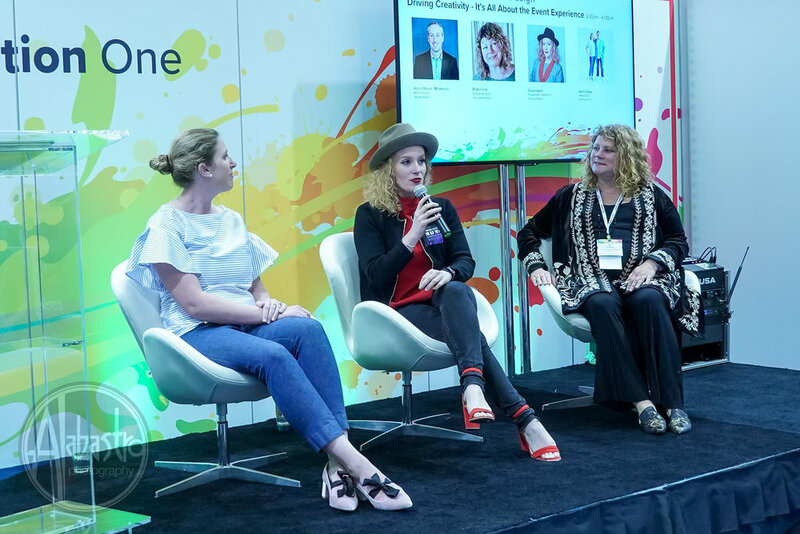 Already the industry’s most prominent trade show in this part of the country, the NWES has expanded to a two-day event offering educational seminars & workshops and face-to-face networking with far more individuals than a year of hopeful happy hour mingling. This is one event we as Seattle professionals cannot afford to miss, and as this year’s program highlights are unveiled it’s becoming clear – this is not your average trade show. Building Your Network: It’s Just Good Business. Last Spring, Janet presented at a workshop for exhibitors of the Northwest Event Show. In her introductory story was an idea that can radically expand your business prospects in a matter of months. “What do Paul Revere and William Dawes have in common, and what is the business lesson?” she asked. Paul Revere and William Dawes both rode the night of April 18, 1775 to sound the alarm that the “red coats” were coming. However, Paul Revere is the only one who raised a militia and is famous for his effort. What could possibly account for the difference? One of the more interesting details of the legendary midnight ride is Revere knew whom to alert. He had helped organize the intelligence and alarm system. When the British launched their boats in the Charles River, two lanterns were lit in the Old North Church, and over thirty additional riders covered the territory along the route. An information broker is a “connector,” one of the three types of influencers mentioned by Malcolm Gladwell in his first book, Tipping Point. Connectors influence by their associations. They are “natural hubs.” They are, in other words, great networkers. Private Information: Networkers trust each other and share key market information that is not accessible publicly. Access to Diverse Skillsets: The smartest thing you can do to achieve the next level of success, is to get help from somebody who has a skill you lack. Power. Our natural “tribes” are clustered. A networker can link these clusters, creating exponential connection growth for everyone in the system. This concept is core to the Lasting Impressions Face2FaceX for driving business. Are you an Information Broker? To diagnose your network, fill in the attached grid. We all tend to start there. We are drawn to people like ourselves, who make everything easier. We already understand each other and the environment we share. It’s efficient to rely on this group. Unfortunately, we’re likely to keep getting the same results by limiting ourselves to the same comfortable resources. Similarly, most of us associate with the people we bump into in the course of our day. They are our coworkers, neighbors, family, old school friends, and a few others we know because of our kids. They are on our normal route through life. Stated simply, get involved. A networking activity should be something that matters to the participants. They will already be committed to the activity and eager to join you as you work toward a common goal. You will build trust by being sincere, reliable, and effective. You will meet people outside your cluster of associates and find ways to link people with others in increasingly widening circles, who share their goals. By associating closely with people outside your “self similarity” circle, you will absorb diverse perspectives that will inform great business decisions and accelerate your networking capacity. To bring the proximity principle home to your next team meeting, consider giving everyone a useful double-sided business card holder or a notepad. Even better, how about hosting an event to draw a wide range of guests from a shared activity you become involved with? Sporting events and tailgating are a great way to mix business with fun! At Lasting Impressions, we believe in the business partnership philosophy “better together.“ Networking is at the heart and soul of “Face2FaceX”, the concept of expanding your personal, or “face to face” impact exponentially.